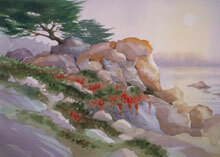 Thomas Freeman Watercolors: Original watercolor art and landscape painting of the California coast and the rural America countryside by artist Thomas Freeman. 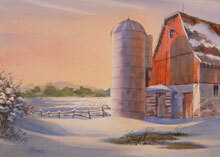 Gift store and online painting gallery. 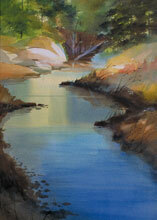 Thomas Freeman is a California watercolor artist. 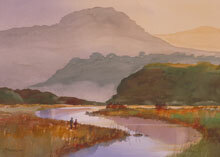 His landscape paintings focus on the California coast, and country settings with their timeless, simple beauty. 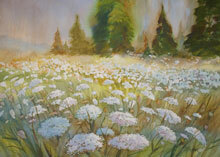 Tour the artwork for a calming and serene sampling of art. 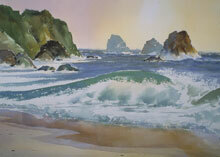 Visit our Thomas Freeman Fine Art Gift Store. 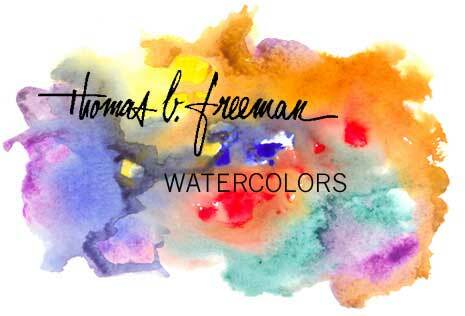 We have partnered with CafePress to offer gifts featuring the watercolor art of Thomas Freeman. 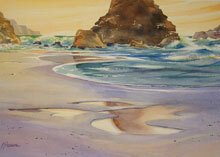 Products include fine art prints, note cards, tile coasters, framed tiles, mugs, tote bags and more.